On this Leap Day 2016, a glance back over our home decor and antiques blog for February proves that the shortest month still gave us plenty to talk about. Here are our favorite blog posts from fabulous February! 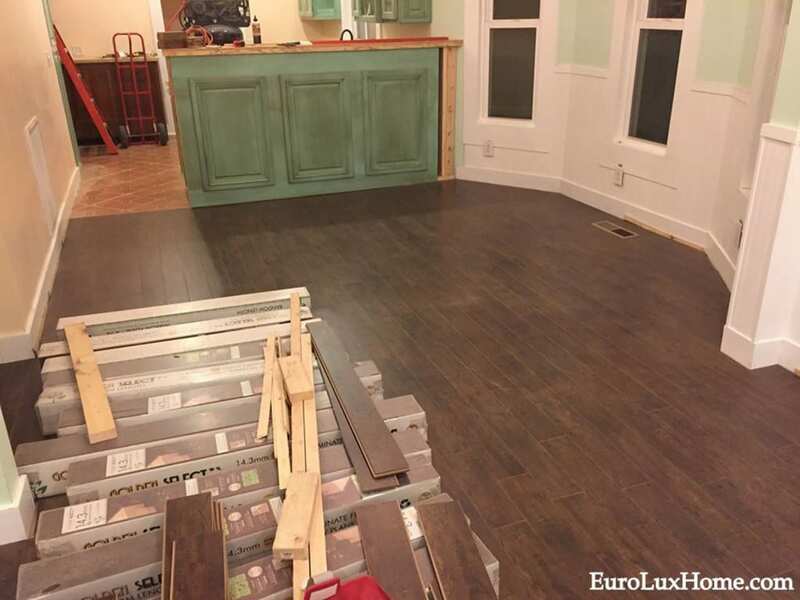 First, let’s start with our fabulous floor! 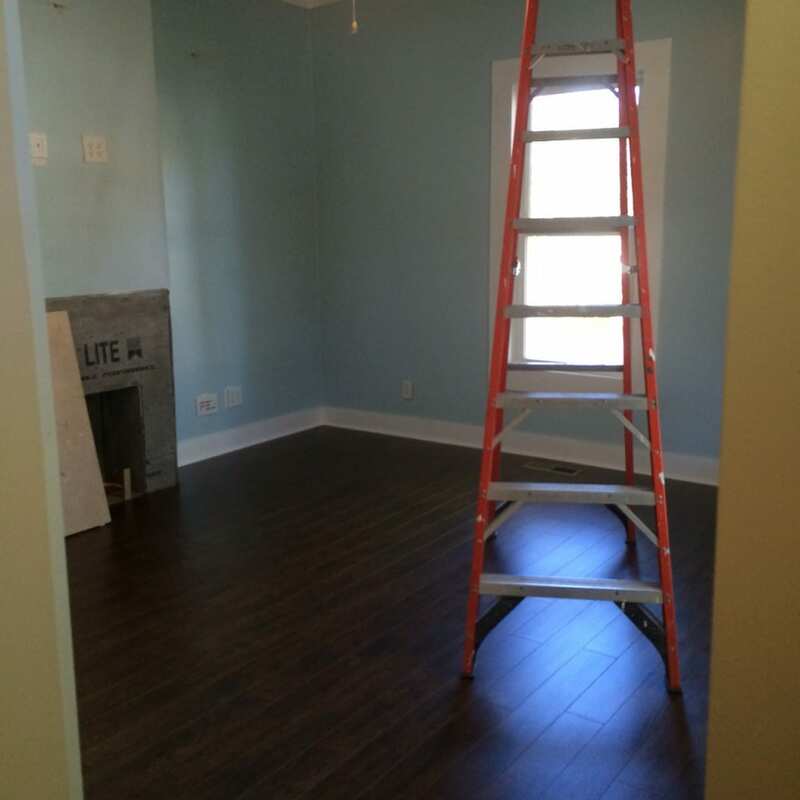 As part of our 1920s vintage bungalow renovation our next job was to tackle the floor. 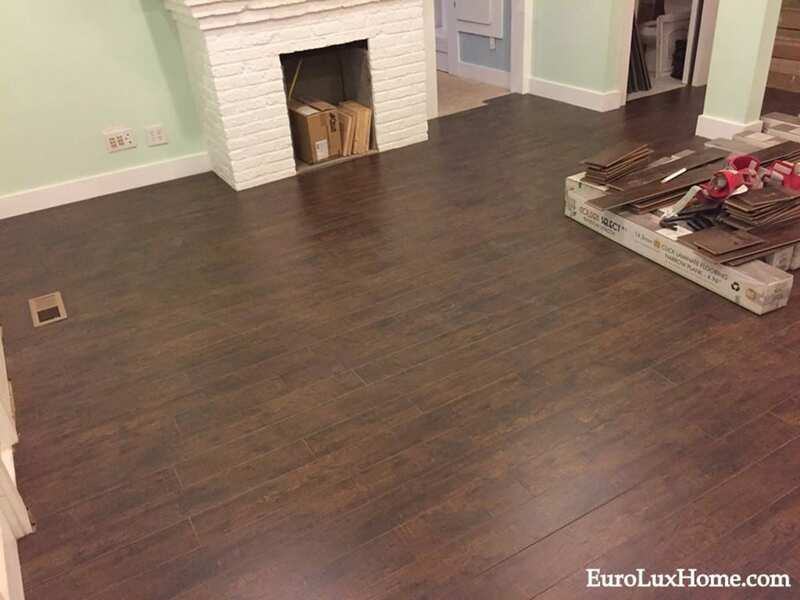 We put the new flooring down in the living room, dining room and other rooms. 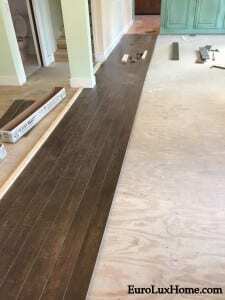 It went quite quickly, using a realistic-looking laminate to replace the rotted hardwood floor. 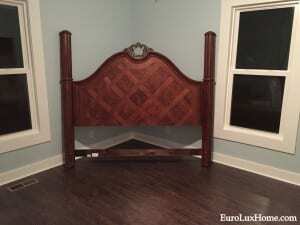 This is the bedroom when we finished, with the antique headboard ready to have the bed attached. See the full Vintage Life New Floor story at the link. 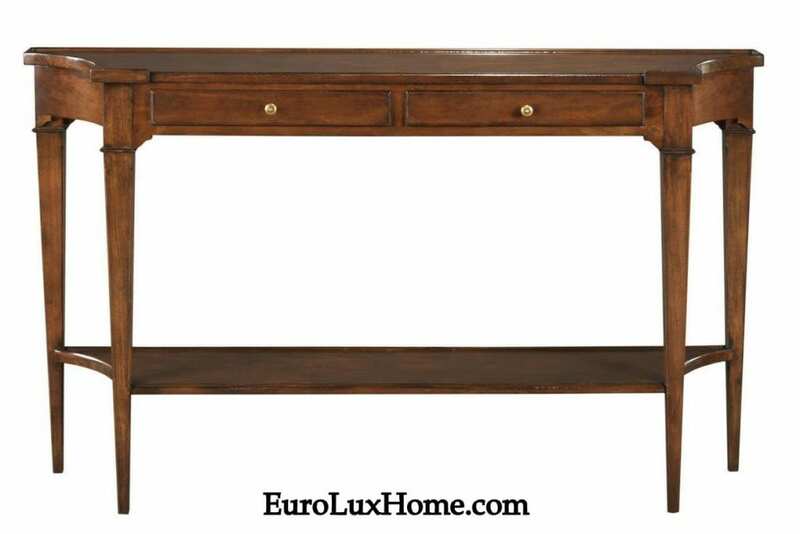 3) Console tables in all kinds of designs. 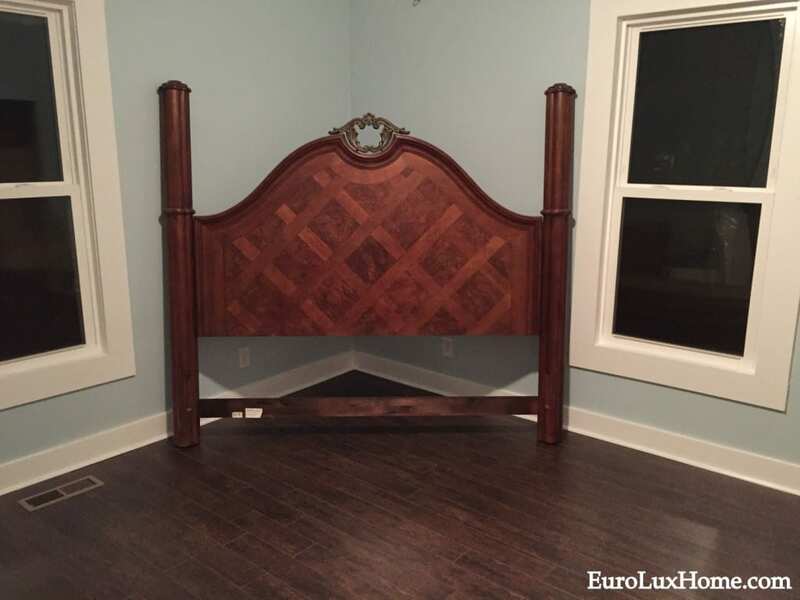 It’s interesting to see the items that design-savvy Houzz fans choose. It shows the ‘essentials’ that people want in their homes. 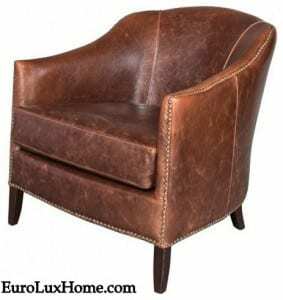 Console tables and leather chairs and sofas are classic pieces that always have a beautiful and useful place in a house, and a hand-made throw pillow is also a wonderful investment. Soft whites have been chosen by several paint companies as Paint Colors of the Year for 2016 so I took a look at decorating with white to show how to keep white looking elegant and welcoming rather than cold and clinical. I hope you enjoy the tips, including layering whites, exploring textures and contrasting with warm wood. The final favorite of the month was a travel post. A lot of us can see spring is coming just around the corner, and after this long and cold winter we’re ready to dream of trips to new places! This lead to my post about Graceful Getaways in New England. The three hotels I highlighted have historic stories to tell or they are decorated with antique furniture and art. This is the Mayflower Grace Hotel in Connecticut, featuring antique rugs and antique four-poster beds as well as 18th and 19th century art on the walls. Who’d want to leave their hotel room? Join me again next month to read about great home decor ideas and info on antique furniture. I’m always happy to hear from you with questions about vintage or antique furniture or lighting, home accents and accessories. 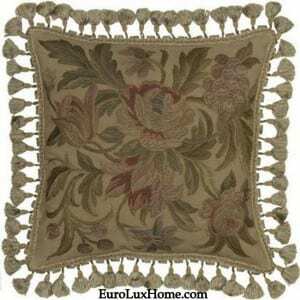 Send me an email or comment on this blog or our EuroLux Facebook page. 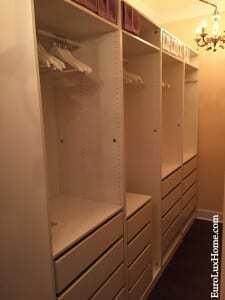 This entry was posted in Home Design Ideas and tagged antique inspired furniture, Antiques Blog, creative home decorating, design ideas, interior decor, interior design, white on February 29, 2016 by admin. If you feel like a getaway in New England this year, we’ve got three beautiful suggestions of places to stay! 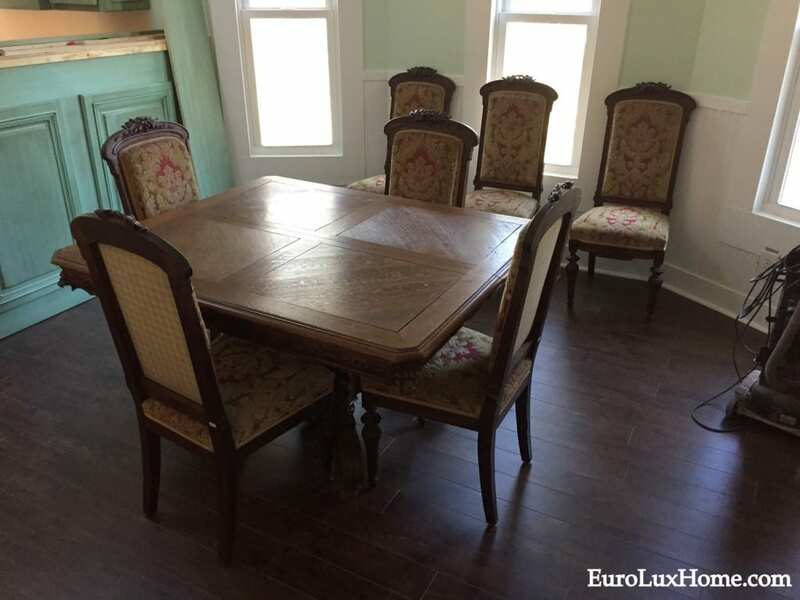 Anyone who has followed my series of posts on travel and historic hotels, knows that I love finding places to stay that have a sense of history or are beautifully furnished with antique furniture or in antique style. These three Grace group hotels make me want to pack my bags! The Mayflower Grace is a great country retreat, just a short hop from New York City (about a 2 hour drive) in the scenic Litchfield Hills in Washington, CT. The boutique hotel and spa is located on 58 acres of landscaped gardens and a collection of 18th and 19th century art can be viewed throughout the hotel. The rooms are furnished with very good taste and plenty of antiques and antique-inspired decor. For example, the hotel features antique rugs and antique four-poster beds. Grand mahogany wood fittings, marble and Limoges look very VIP! Not surprisingly, the Mayflower Grace was named one of The 7 Most Romantic Hotels in North America by Travel & Style. It’s a great base for scenic hiking trails or going antiquing. It’s also near Connecticut’s oldest art house movie theatre, the 1927 Bantam Cinema. 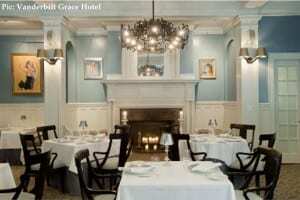 The Vanderbilt Grace is an historic boutique hotel in Rhode Island. Formerly Vanderbilt Hall, the vintage Newport mansion was built by Alfred Gwynne Vanderbilt in 1909. Guests can expect to be greeted with a glass of champagne on arrival and canine guests are even treated with special doggy meals. I love that idea! I bet our pups Jake and Rudy would love that idea too, and then all the cats would want to come as well. So shhh! Don’t tell them! As the hotel is near the waterfront, rooms are named with a maritime theme such as the Admiral Suites and Captain’s Loft Suites. This is the very fancy restaurant called Muse. There is also a rooftop bar to watch sunset over the harbor. 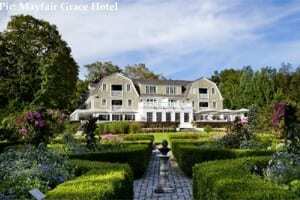 The White Barn Grace (previously the White Barn Inn & Spa) in Kennebunk, ME, has been a local landmark for 150 years. The hotel has its roots back in the Civil War era, when people stayed at the old Boothby Boarding House which grew from a farmhouse into a hotel. 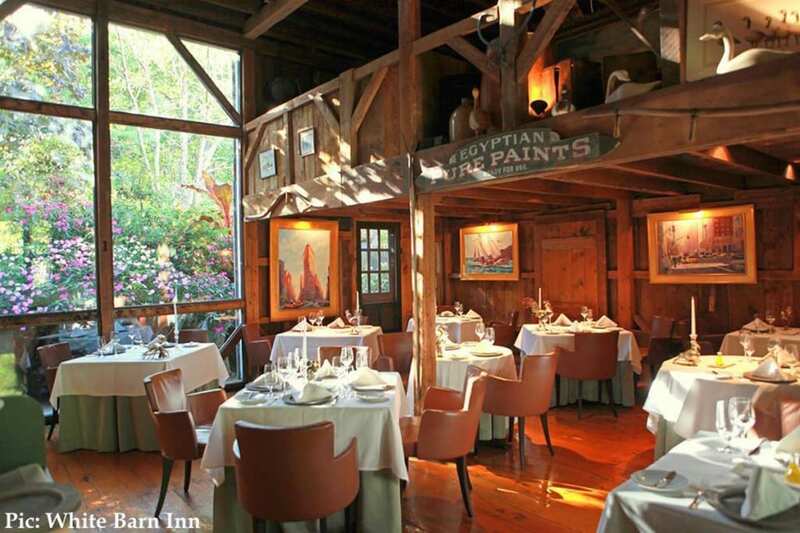 Many additions and renovations later, it has grown into a luxurious retreat and the original barn has become a AAA Five Diamond restaurant. Artifacts from the old barn were saved to show in a display loft. If you have a favorite hotel, B&B or other getaway that has a historic story or is decorated with antiques, let us know in the comments box below. We’d love to take a tour with you! This entry was posted in News and tagged getaway, Historic hotel, New England, romantic, romantic decor, travel, vacation on February 27, 2016 by admin. I wrote a while ago about all the elegant and soft whites that have been picked as Paint Colors of the Year for 2016. White is such a classic color, it works in traditional rooms and modern rooms and with styles from French Country to Farmhouse to Scandinavian to Hollywood Regency and Art Deco! But it also risks looking clinical and cold if it’s not handled well. 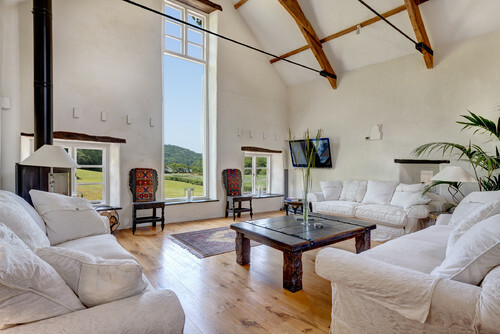 This white living room in the English countryside avoids looking stark — despite the high ceilings and large expanses of white walls — due to the soft furnishings. The white sofa slip covers and squashy throw pillows make it look comfy. Soft furnishings are important to balance the hard surfaces which can make a white room look unwelcoming. 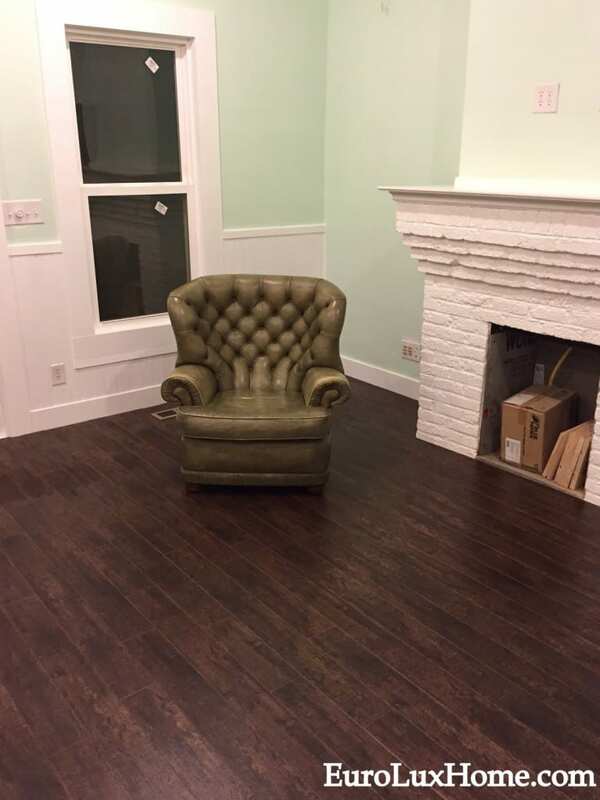 Wood floors and furniture warm the space up too. That view out of the window is stunning, but sadly we can’t all replicate that! A beautiful dark wood floor also helps to ground this bright white living room in Minnesota. 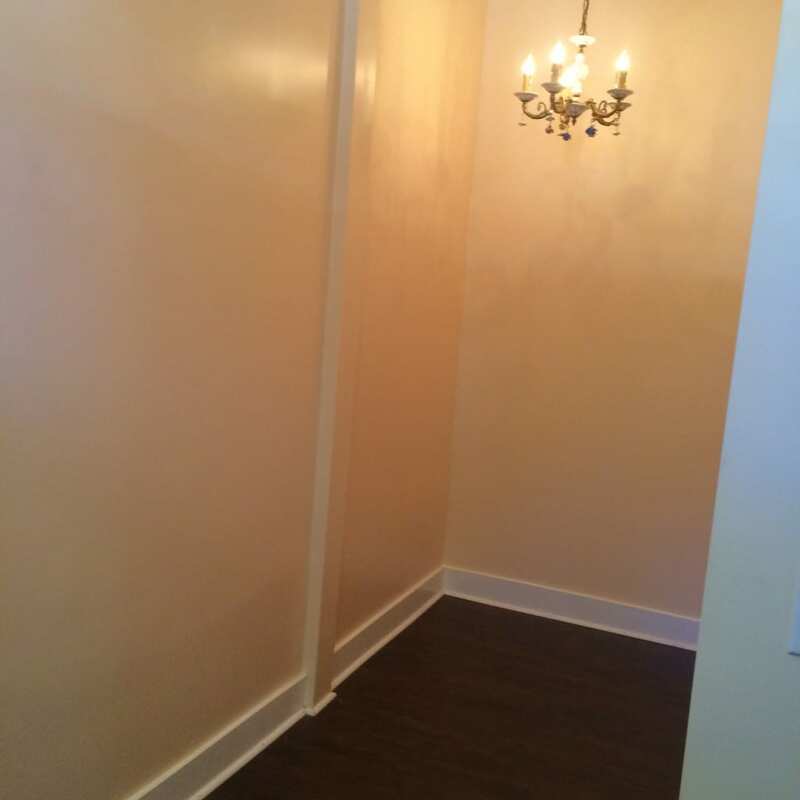 You are unlikely to redo the entire floor of a room to match the white walls! But if you have a room with wood floors already, then it could be a good candidate for white decor. Or use new or antique wood furniture to create the same effect, warming the space up and contrasting nicely with the airy white. Another way to create a sanctuary of peaceful white is to look for off-white textiles and white furniture so you can layer the tones for a richer impression. The easiest trick of all is to use a wide variety of textures to create visual interest. 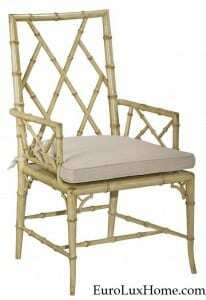 For example, bamboo, wicker, and rattan furniture or woven rattan baskets all create immediate texture. This white Woodbridge dining chair is actually faux bamboo – it is crafted in hardwood but turned in a bamboo-like fashion. But you can see how much texture and dimension it adds to the fabulous hand-rubbed finish in antique white paint. Carved detail will also soften the look of a piece of white furniture and create tons of visual interest. 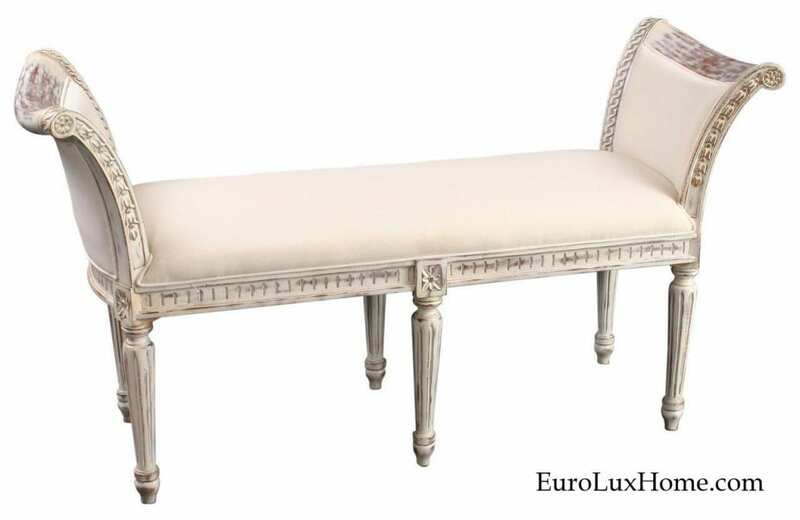 The decorative style of this exquisite new French style window bench is enhanced by the antiqued whitewash finish on the pretty details: the rosettes and the reeded and turned legs. The bench is upholstered in white/cream linen. Linen always has such a lovely texture too. Can you see the distressed finish on the bench? The extra visual layering and texture take an already beautiful piece of white furniture into an even more interesting zone! 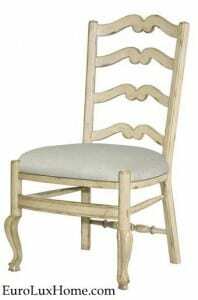 Here’s another example of artful distressing on a new white French Country dining chair or side chair. 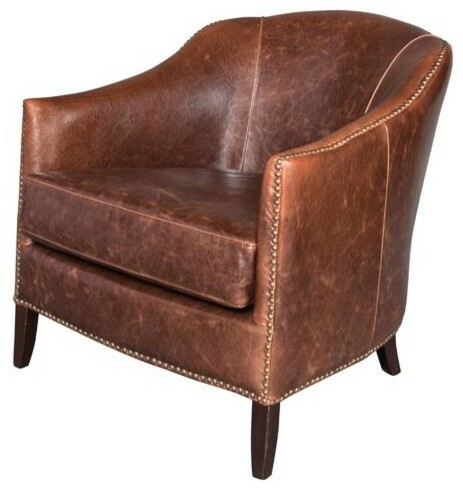 The distressing by Woodbridge Furniture Company artisans is created by hand-rubbing. It is quite a skill to know exactly where an antique piece of furniture would have been worn by use, and therefore create an aged and antique effect! If you imagine the chair without the hand-distressing it would still be a very handsome chair, but you can see what I mean about the importance of visual layers of color and texture. Of course, if you have lots of pets or children around, you might want to be strategic in your use of white furniture, but distressed pieces absorb and disguise the impact of ‘real life’ very well! Do you have a room decorated in white? We’d love to hear from you in the comments box, or even see photos! This entry was posted in Home Design Ideas and tagged color palette, color trends, creative home decorating, design inspiration, interior decor, interior design, neutral colors, neutrals, paint color, white decor on February 24, 2016 by admin. These three new interior decor books have beautiful covers that make me want to step right into the rooms they portray! They focus on antiques as an essential part of the personality of a home, as well as examining the important details that add the finishing touches. 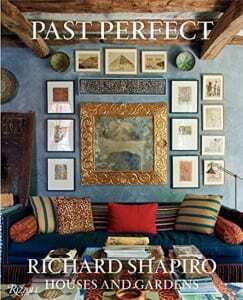 Written by a designer and antiquarian in partnership with an editor at Architectural Digest magazine, this hunky new book has a strong emphasis on Old World style. The featured homes evoke past eras with rooms designed with more than a dash of European personality. They are decorated with antiques (of course!) and they also show how easy it is to live with antique furniture and decorative items, creating a unique space that reflects your personality. The cover shot is so inviting – I love the way the art is arranged around the large mirror on the wall! 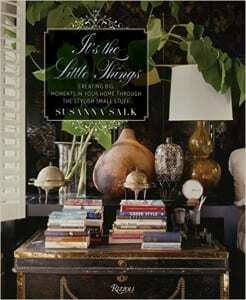 The subtitle of this stunning book is: Creating Big Moments in Your Home Through The Stylish Small Stuff. Don’t we all want that? This decorating book offers inspiration from designers including Alessandra Branca, Bunny Williams and India Hicks, showing how small touches in a room can create a stylish vignette that reflects your individuality and interests. Some of the photographs in the book are of full rooms, others give examples of how designers and homeowners arrange their art, objects, and beloved possessions. The author intends to help readers “to slow down and pay attention to the details that can add richness and personality to any interior.” I second that! Although the Californian farm home featured in this unusual book is newly built, the style signature is all about antiques and traditional looks. The authors are an architect and an interior decorator. When the couple decided to leave their suburban home to start life afresh on a farm, they first traveled through France and Belgium in search of ideas and antiques. More than 200 photographs and architectural drawings show the inspirations for the house and the process of pulling it all together from the building materials to the decorative details. 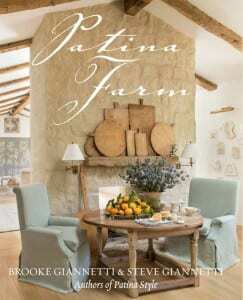 I’m guessing that if you love Farmhouse style and French antiques, you’ll enjoy taking a tour around Patina Farm! This entry was posted in Bookshelf and tagged books, decorating books, design books, design inspiration, Farmhouse Style, French Antiques, home decor, interior decorating resources, interior design books on February 17, 2016 by admin.